With women now taking leadership positions in every field, it is not uncommon to find them buying their own houses. 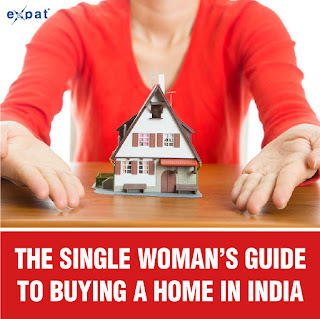 Today’s smart investor, the independent, strong woman believes in buying her first home as soon as she starts earning, instead of waiting for Mr. Right to come along and do it for her. Easy home loans, a wealth of information available at one’s finger tips, and increased independence and decision-making skills come together to enable young women in today’s society to buy their first homes on their own. Maybe you are moving to Bangalore, shifting to Delhi or need some life hacks before relocating to Mumbai? If you have decided to take the plunge and invest in your own apartment, here are a few home buying and moving tips you might want to keep in mind as you decide which property to buy! The number of options and affordable houses available has made the job of a house hunter daunting. Detailed planning, however, can lend a semblance of order to this complicated task. o The first step is, of course, to determine your budget. Speak to your bank to determine your loan eligibility even before you start looking! 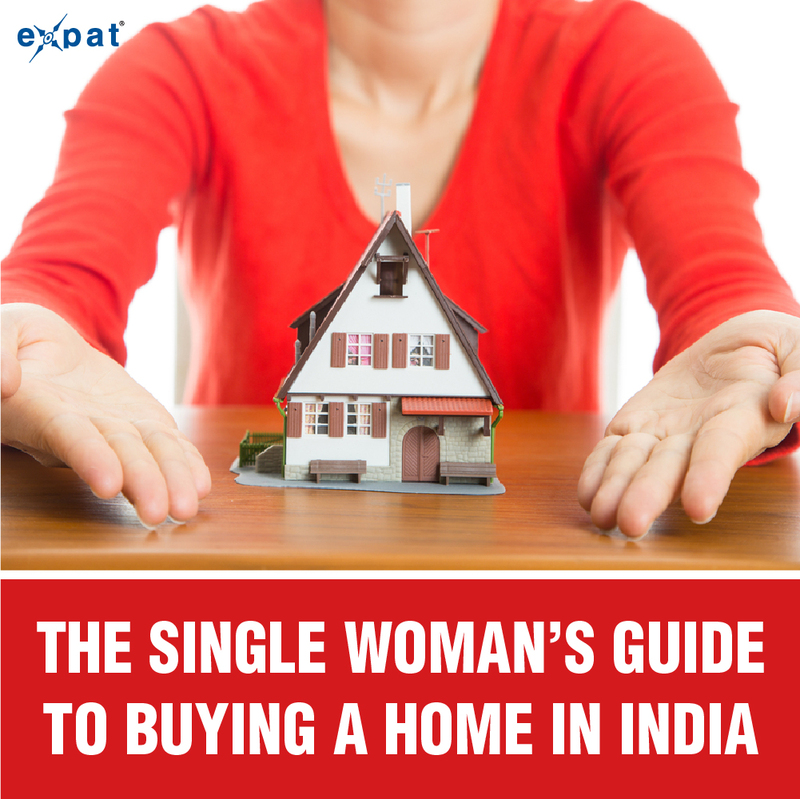 o Determine the locality you want to live in – As a single woman, it makes sense to find a home close to your workplace. This not only reduces the time of travel, but also reinforces the aspect of safety if you work at odd hours. If your parents live in the same city, do find an apartment which is a convenient distance from theirs so that you can have the privacy of your own place without going too far from home. If you are buying a home which you intend to let out on rent, choose a location close to a business district so that your home will have many rental takers. o Identify a property - Once you have decided which area you want to live in, browse the Internet for an ideal house for sale, or look through the newspaper offers and launches to identify the projects which best suit your requirement. Do remember that you will be spending considerably more than the basic cost indicated on advertisements, as extra costs like registration costs, maintenance costs, floor-rise charges etc. get added to the basic price at the time of purchase. o Learn the jargon – Familiarise yourself with terms such as carpet area (the actual area of the house), super built-up area (the area including common areas), repo rates (influences the interest rate of home loans from banks), etc. before you start discussing a purchase. Once you have shortlisted the properties which look best on paper, it is time to start calling the marketing offices or portals like Housing.com to schedule site visits. o Most builders these days arrange cabs which pick you up and drop you at your doorstep after showing you the property, and the homes for sale in question. Do ask a friend or someone from your family to accompany you on such site visits. o It is difficult to gauge the space available in a raw flat. Do ask to be shown a model flat to get an idea of what a finished apartment will look like. A model apartment is designed to showcase the property in the best way possible, but not always in the way you will use it. It will help you to think about where you will be placing closets and what size beds you plan to use in order to understand if the apartment is designed to your liking. o When speaking to the marketing person, insist on a break-down of the various charges in the final cost. o Bargain! Most builders charge a higher per-square-foot rate than is recommended by the government agencies. Do not hesitate to ask them to drop the rate to a more reasonable amount. o Check out the neighbourhood – Drive around the neighbourhood and speak to the people who already live there to see if everything you need on a day-to-day basis is easily available. Ask around to make sure that the neighbourhood is safe even at night. o Connectivity and transport – If you do not own your own transport, make sure enough safe transport is available at all times of the day. One of the best safety tips for women is to be aware of the neighbourhood and making use of all that it has to offer. o Legal Documents - Make sure you receive a copy of the legal documents and have them verified by a trusted lawyer before you make a payment. If you are taking a bank loan, the bank takes over this task for you. o Occupancy Rate - If you are planning to move into your new home, do ensure that project or building is 50 – 75% occupied. This reinforces the sense of security, and also ensures you have enough company when you need it. When you have found the house which is just right, it is time to move in! The task comes with its own list of things to do, and expected and unexpected expenses. Fortunately, when you are a single woman, you can take your time to make big additions to your home, such as a modular kitchen, cupboards in every room, and a crockery shelf for your china. Concentrate on purchasing the basic requirements first to put together a comfortable home, and keep adding to it as you go along. o Furniture you will need – A comfortable mattress is more important than a bed! Invest in one which will make sure you get a good night’s sleep so that you are fresh and ready to take each day head on! o The essential appliances - A Washing machine, a refrigerator, a microwave and cooking gas are must-haves in any home. They reduce your dependence on external services and make your home a stress-free zone. o Work and fun – Invest in an internet connection, cable TV, and a good television set to keep you entertained and give you the flexibility to work from home. o Do install safety devices such as an extra door-lock, a safety chain, and a doorbell with a camera, so that you can relax in the security of your home. Buying and setting up a home is hard work for anyone, but especially so if you are a single woman in an unfamiliar city, and taking a loan to do so. However, taking it one step at a time and researching thoroughly ensures that you make a purchase which is not only a good investment, but an asset for a lifetime!